Recently I posted on Ai Weiwei’s exhibition in Florence (see https://longoio2.wordpress.com/2017/01/08/east-meets-west-or-does-it/). This reminded me of our visit to the Shanghai museum last November. After our visit to Tibet we had a little time left in Shanghai and decided to spend it in various ways. Jinmao means ‘golden prosperity’ so it’s truly a monument to China’s present golden age, at least as far as industrial production is concerned. The tower, which in some respects echoes New York’s Chrysler building of 1931, dates from 1999, has eighty stories and is 1,380 feet tall. It’s not the tallest skyscraper in China, however. 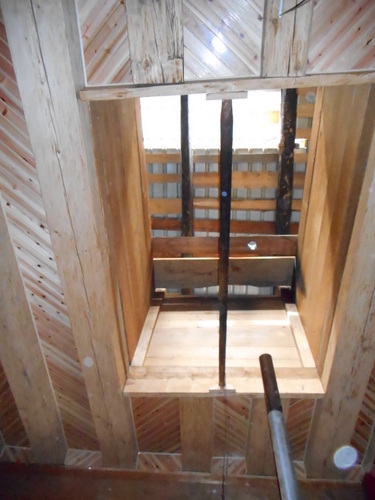 That record is held by the nearby Shanghai tower which surpassed it at 2,073 ft. in 2015 and is the world’s tallest building as far as usable floor space is concerned. 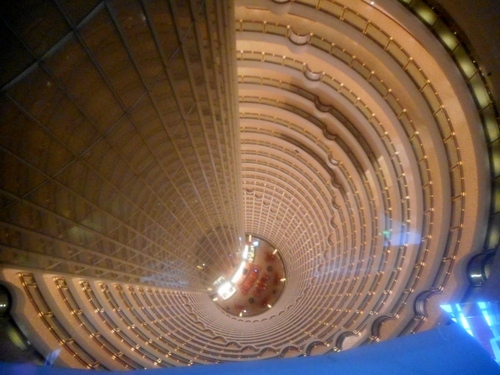 However the Jinmao tower was tall enough for us and it has an amazing hollow centre which contains one of the highest internal atriums in the world. Its’s incredible to think that twenty years ago all this area of Shanghai was largely occupied by marshland and paddy fields . Second, we visited the old town which is a shopper’s paradise especially if you are buying tea. 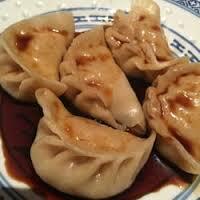 It’s also the best place to eat delicious Xiaolongbao (Shanghai dumplings). We could escape from the urban bustle into the peaceful atmosphere of the Yuyu (happiness) gardens which are highly characteristic of this part of China with its pavilions and rocks. 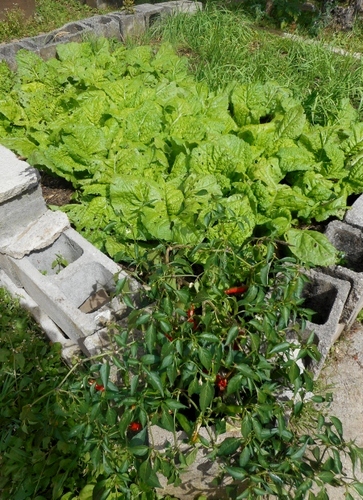 The gardens have a long history and were started in 1559 during the Ming dynasty by Pan Yunduan, the governor of Sichuan province, as a present to his aged father Pan En who had been governor of Shanghai. It was truly wonderful to find this haven in the heart of Shanghai’s megalopolis. Third, we ventured on the extensive Shanghai metro system to reach the fabulous Shanghai museum, perhaps the finest repository of Chinese art in the world. The museum’s architecture is most original being based on the shape of an ancient bronze cooking pot called a ding. The building is round and set on a square base echoing the traditional Chinese idea of the world as having a round sky and a square earth. Next morning we were off to the airport on the fastest train in the world: the Maglev (magnetic levitation) travelling at speeds above 400 kph. Undoubtedly we shall return soon to this part of the world for there is so much more to see and explore and it’s all changing so fast just like our train journey to the airport. Which reminds me: if you are craving for Xiaolongbao there are some delicious ones to be had in a Chinese eatery (Ni Hao) just round the corner from the Palazzo Blu in Pisa. Sometimes called the ‘little Potala’, Ganden Sumtsenling is within easy reach of Zhongdian and is situated at a little over eleven thousand feet in height. Thanks to our gradual ascent we didn’t suffer from altitude sickness which, if acute, can lead to death. The last thing anyone should do is to get to Tibet in one day from near sea-level. Of course, AMS can affect some people more than others. Perhaps living in an Italian village already close to two thousand feet in height can help a little. My first sight of Sumtsenling monastery was quite awesome: the gilded bronze roofs shone in the true blue sky and behind, the pre-Himalayas framed a stunning view. Sumtsenling is the largest Tibetan Buddhist monastery in Yunnan and also its most important centre of religious excellence. Dating back to seventeenth century and founded by the great fifth Dalai Lama (credited with the unification of Tibet) Sumtsenling forms part of the yellow hat sect of the Dalai Lama’s Gelugpa order. (But please don’t mention the present fourteenth Dalai Lama’s name publicly, together with the island of Taiwan if you find yourself in that part of the world…). Unfortunately, this majestic monastery which once housed two thousand monks, suffered damaged during the now largely discredited cultural revolution of the 1960’s and was actually bombed. It was restored in 1983 and is now home to around seven hundred monks. It’s free to photograph the exterior of the monastery but one has to pay ten Yuen (a bit over a pound sterling) to take snaps of individual chapels and interior shrines. This can amount to quite a bit, and since no flash can be used, and the interiors can be very dark, there’s little point in paying. Moreover, it seems to me that no photographs can truly capture the extraordinary atmosphere of these monasteries; you just have to go and experience them yourself for, as yet, no virtual reality experience can encapsulate any particle of their arcane ether. Sumtsenling’s greatest interior treasure is the almost thirty foot tall statue of Shakyamuni, the original Buddha, also known as Gautama or Siddhartha (remember Hesse’s novel?) whose teaching form the basis of Buddhism, and who lived around 500 BC. Many years ago I was privileged to visit the deer park at Sarnath, India, where the Buddha received Moksha or enlightenment after 49 days of mediation and the age of thirty-five, truly a Dantean ‘Midway the path of life that men pursue’. These photos have been digitised from the colour slides I took there when I was still in my teens. I always find it strange that in a Hindu-based civilization Buddhism did not immediately take root in India (although Buddha is considered one of the ten avatars, or earthly incarnations, of Vishnu in Hindu belief). A steep flight of steps up to the main chapel where an image of the Buddha is kept with permanently lit candles made from yak butter in front of it. An assembly hall where the monks gather for lessons and the recitation of the scriptures. Chapels where idols of different aspects of the Buddha and previous lamas are kept. Murals illustrating stories from the scriptures on the inner walls of the chapels. A library of manuscripts, many of which are written on palm leaves and stamped with wooden blocks. Prayer wheels arranged around a Kora (pilgrimage route – always perform it clockwise please!). A shop selling books and religious items. It’s a pity that we weren’t in time for the monastery’s biggest festival at the end of November. Called Gedong it’s where religious mask dances are performed, including the Cham which impersonates the battle between forces of good and evil in the form of animals, gods and ghosts. However, we were glad enough to visit this impressive monastery and were glad that its sacred nature and the ancient religious rites of the monks are now being rather more respected than in previous decades. Our last evening in Shangri-la was spent attending a spectacular show at the local theatre illustrating traditional stories from the area,. It was clearly a touristic honey-pot but the standard of presentation was high. We should have taken the plane to Lhasa from Diqing Shangri-La airport but no direct flights were available so instead we took a flight to Kunming over increasingly impressive mountain ranges. Kunming, itself would have been a fascinating place to visit but we were limited to admiring its Changshui airport built by that impressive American architectural partnership Skidmore, Owings & Merrill who have also built the world’s tallest building, the Burj Khalifa in Dubai (height 2722 feet). I loved the waving support structure of this airport terminal. Yes, even airport buildings can have their fascination – if you can forget Heathrow, that is! From Kunming we flew to our main destination in our adventure – Lhasa, the capital of Tibet and one of the highest cities truly placed on the world’s roof. From the aircraft cabin porthole I could see the landscape becoming ever more arid. Truly Tibet is the roof of the world but it is also a rain-shadow area and in large part a kind of high-altitude desert, a sort of moonscape, in fact. Finally, the Eastern China airlines touched down on the Gonggar airport serving Lhasa and a new phase of our travels began. Some of the farmhouses in Yunnan would shame even the finer ones in our own little area. We were able to visit the farmhouse of a family in Shangri-La province and were bowled over by its grace and magnificence. A Tibetan-Yunnan province farmhouse consists of an ample two or three storied building with the animals generally kept on the ground floor, a large courtyard which is high-walled in with an entrance portal and some smaller buildings built on each side of the courtyard. The dimensions of the main house are truly vast and the decoration is simply miraculous. 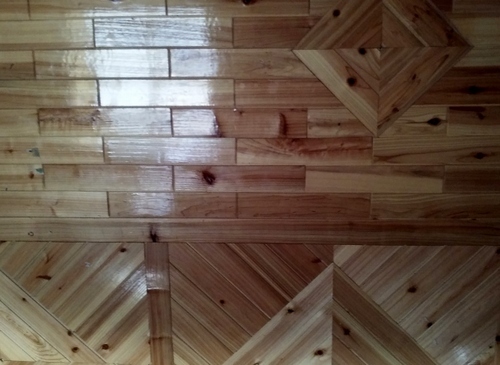 Just the wood used to frame the house comes from mammoth-girthed pines. The beams and windows are particularly intricately carved. In summer the main house is used to accomodate up to four generations sleeping around a fire whose smoke leaps up through a hole in the ceiling in a mediaeval style reminding me of the arrangement at Penshurst place in southern England. In winter the smaller rooms on the sides of the inner courtyard are used to house the occupants because it’s easier to keep them warm. The furniture, cupboards and chests of the large mansion, a sort of piano nobile, are elaborately carved and beautifully painted. I have never seen such wonderful rural carvings before except perhaps in Nepal. It seems that, like the Tyrol, wood-carving is an activity that happily passes away the long winter nights and is also used to represent the prestige and standing of a family. At the very least, it shows just how much people in this area delight in objects of beauty and elegance. The latest trend is to enclose the inner courtyard with a huge conservatory-like structure. This means that the area can keep warm even in the minus 15 centigrade temperatures of winter and, with the use of solar panels (which are truly expanding investment now in an ever more-eco conscious China); life becomes ever more comfortable in an area which has always been noted for its extreme climatic conditions. I’m not too sure whether these super-conservatories enhance the nobility of these houses but they certainly help conserve heat. In every case we were treated with true courtesy during our visit. On our first full day at Zhongdian (AKA Shangri-La) we took a journey in the surrounding environs to visit Gyalthang Ringha monastery, a sweet little temple with a multiplicity of prayer flags surrounding it. Since prayer flags are such a universal item in Tibetan, Nepalese and Mongolian culture it may be useful to say something about them here. Prayer flags are largely hung up at temple and mountain passes and their main purpose is to bless the countryside around them. 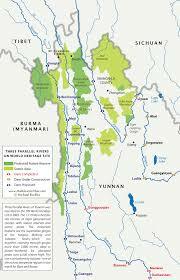 Their use predates Buddhism and is associated with the primeval Bon religion. Prayer flags are usually printed with wood blocks and their different colours relate to aspects of the universe. The colours, arranged from left to right, are blue, symbolising sky and space, white standing for air and wind, red representing fire, green standing for water and yellow denoting the earth. These are the five universal elements, or pure lights, of life itself. In Tibetan alchemy it’s the balance of the five elements which produce health and harmony in one. But what’s written on the flags themselves? There are prayers and mantras transmitted by the gods or devas containing important formulae to protect one against the demons or asuras which permeate our universe. Truly our lives are a battle between good and evil – such is the nature of the primal force which creates and destroys the universe – the arcane dialectic between life and death. 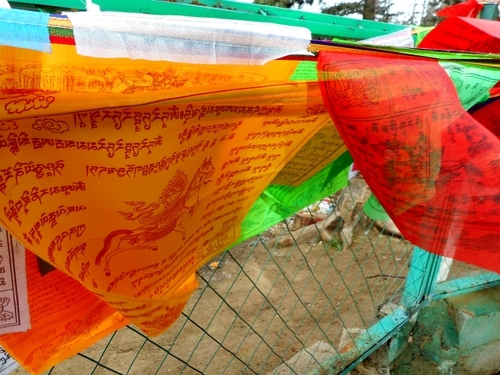 Prayer flags also assist the souls of the dead to reach the sphere of the gods. Indeed, on many of them there’s a horse galloping in an upward direction which symbolises carrying the spirits of the dead, Pegasus-like, to the higher regions and escape from the relentless wheel of samsara or reincarnation. This quadruped is called a wind-horse or ’lung ta’ (strong horse). It bears three jewels on its back representing represent the Buddha, the Dharma (or divine law) and the Sangha (or Buddhist community). If you are suffering bad luck then hanging a prayer flag with a lung ta can change your bad times to good fortune. It’s truly worth trying, I’m sure. Just hanging up a prayer flag will bless you with good fortune. (Incidentally, the animals on the corner of a prayer flag are known as the four dignities and they are the dragon, the garuda – or heavenly eagle -, the tiger and the snow lion). As prayer flags fade they become part of the universe and add their little quota of peace and accord to the cosmos. I often think how different the significant of flags are between those in the part of the world we were visiting and which stand for peace, and those in the west which so often represent nationalism and all the partitions of humankind that that word brings – war and devastation. Nothing could be further apart than the evil black flags carried by terrorist groups and the harmonious colours of the Tibetan prayer flags fluttering in the high places of a country which so singly has sought those things which are really of the highest matter to us – reconciliation, amity and divine love. There is so much to learn about Tibetan Buddhism and I have just scratched the surface. Imagine what it must be like for a protestant (or indeed someone of any other religious persuasion) to enter into a Catholic shrine and try to make sense of it all. It’s because religion is itself a metaphor for all those aims that we would ideally wish life to be and metaphor is itself dependent on the environment which surrounds one, whether it be high snowy mountains, vast rocky deserts, icy expanses, infinite oceans or impenetrable forests. Anyway, to get back to more earthly concerns. During our visit the Gyaltang Ringha monastery had also inmates which were not strictly admitted to it. Some pigs had wandered into its confines, perhaps to seek more earthly nourishment. We helped one of the monks to let the swine out in the surrounding woods where I’m sure they’d find plenty of food to scavenge for. Gyalthang Ringha was an unassuming temple monastery but one which was little-known and largely free from sight-seers. It was truly a place to fill one’s ambiance with serenity and joy. We felt very happy there…. Shangri-La is a term many people associate with a country of lost content and eternal happiness. ‘Shang’ is, in fact, the name of a Tibetan district. ‘Ri’ is also Tibetan for mountain and ‘La’ means a pass. So Shangri-La is literally ‘Shang Mountain Pass.’. Shangri-La became famous through that 1937 iconic film, ‘Lost Horizon’, based on James Hilton’s book, directed by Frank Capra, starring Ronald Coleman and actually filmed in California’s Ojai valley. I first saw the film on the television during a miserably rainy Saturday afternoon and the impression it made on me was immense, especially the last scenes where the eternally beautiful Maria suddenly becomes a horribly aged hag when she leaves the enchanted valley. The development of the myth of Shangri-La would take several volumes to explain but there is indeed a Chinese precedent for it in the’ Tale of the Peach Blossom Spring’ by poet Tao Yuanming who lived during the Jin dynasty (265-420). In the story a fisherman discovers a gorgeous peach grove where happiness reigns among its inhabitants who are completely removed from the afflictions and pain of the world outside their grove. I think Oscar Wilde must have had something in mind when he wrote that moving story for his children called ‘The Selfish Giant’ and, indeed, another theme variation is Frances Hodgson Burnett’s ‘The Secret Garden’. James Hilton is, in my opinion, a highly underrated author, perhaps because he appealed to certain aspirations of a middle-class English readership which now often seems hopelessly dated. His books, however, produced some of Hollywood’s most memorable films and, indeed, Hilton contributed to several other screenplays. Who can’t forget ‘Goodbye Mr Chips’, based on his Walthamstow, London-based, schoolmaster father and starring the unforgettable Robert Donat, and ‘Mrs Miniver’, perhaps one of the most insightful films about being a woman during wartime, starring the lovely Greer Garson and ranked as one of the forty most inspirational films of all time. 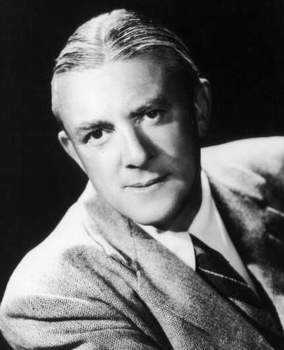 It’s so sad that Hilton died just aged 54 in 1954. He had many admirers in his time including Freud himself, so there has to be something that somehow attracts our unconscious desires in his books. 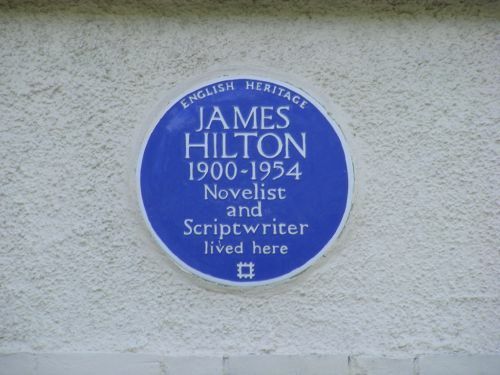 Incidentally, if you go to Woodford Green (sir Winston Churchill’s old constituency) you’ll find the house where Hilton wrote ‘Lost Horizon’ marked with a blue plaque. It’s at 42 Oak Hill Gardens, Woodford Green, Waltham Forest, London. Nearby is Epping Forest, surely one of London’s most luxuriant green spaces. But I digress. Despite expeditions to find where Shangri-La actually is (and there have been many hypotheses including such places as the Tian Shan mountains, Ladakh, Zanskar etc.) there is no agreement as to where (and if) this land of joy, love and beauty is situated. For many English people their Shangri-La is a retirement bungalow in Frinton-on-Sea or Bingley. The real point, however. is that Shangri-La can only be found within oneself, in one’s attainment of Moksha or liberation from the tormenting wheel of samsara and the weighty accumulation of negative karma. When we finally reached Zhongdian we found a Shangri-La but realised that the title was a tourist attraction ploy by the Chinese government arranged through a competition between rival villages for the accolade of being named after the mythical place in 1997. Zhongdian is now called Shangri-La. From earlier reports I gather that Zhongdian was not a particularly remarkable place. It was rather run down with a couple of travellers’ hostels and many largely abandoned older house in favour of the ‘new town’. The new name changed all that. Zhongdian restored many of the decrepit houses – in some cases knocking them down to rebuilt a more authentic ‘old town.’ By 2014 the town really looked the part, although many of the traditional-looking buildings were reconstructions. Then in that year a disastrous fire, started by an electric heater placed near some curtains in a guest house destroyed over half of Shangri-La. In fact it had barely survived seventeen years. Because the authorities ordered the immediate evacuation the all its inhabitants there were no human casualties but at the same time there were great losses in the destruction of family heirlooms and old belongings which the inhabitants had no time to save because of the evacuation order. Furthermore, when the fire brigade came they found there was no water supply! The new ‘old’ town had been built so quickly that a proper sub-structure was insufficient to guarantee essential supplies. A big investigation took place. The lady whose electric heater started the fire was arrested and imprisoned and, in typically efficient Chinese style, reconstruction plans were immediately put into operation. Fortunately the oldest and most authentic part of the town was untouched and, furthermore, a chance was given to give the new ‘old town’ a more secure sub-structure in terms of water supply, electricity and sanitary measures. Luckily, the temple was untouched. It’s a lovely walk up to it and next door one has the benefit of being able to lend a hand or two at turning the world’s largest prayer wheel. At least sixteen people are required to get the thing started. I’m sure that a few of our potential reincarnations were swept away by our concerted effort in driving this great wheel since within it there are thousands more small prayer wheels contained. The town still has large areas that looked like a bomb-site because they haven’t been reconstructed yet. However, there are enough pleasant old streets to keep one happily strolling around the place and window-shop. The Chinese may have gained notoriety at producing fake Gucci bags but their imitative skill has here worked positive wonders in getting Shangri-La rebuilt. I only wish similar sensitive skill could be shown in some European cities. Perhaps we should get the Chinese to lend a hand in rebuilding earthquake-destroyed towns in Italy like L’Aquila and Amatrice? I’m sure they could do the job rather more quickly. The hotel was perhaps the nearest we got to the Shangri-La atmosphere. The swimming pool in the atrium, although looking tropically superb, was much too cold to even dip one’s toes in and I thought the aircraft that crashed into Shangri-La, as depicted in Capra’s, film was a superb example of oriental kitsch. Next morning, however we’d be truly visiting more authentic sights. Our search for the real Shangri-La was still an on-going process. Would we ever find this haven of peace and eternal youth? Our journey from Lijiang to Zhongdian took us through one of the most extraordinary geographical phenomena on our planet. For three hundred odd miles three rivers take parallel courses separated by mountains reaching over 20,000 feet in height and forming some of the world’s deepest gorges, only to suddenly diverge and take very different routes. 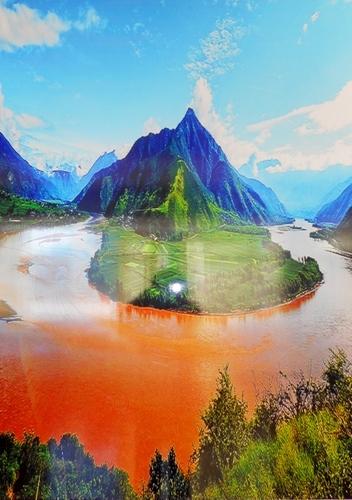 The three rivers are the Salween, the Mekong and the Yangtze. (Kipling was captured by the beauty of the Burmese girls) and famously sung by Australian Peter Dawson. The distance between the estuaries of these three rivers covers thousands of miles yet they all start and flow for hundreds of miles close to each other in parallel courses. It’s a phenomenon that has always intrigued me ever since I spotted it in my school atlas. It’s no easy matter to get from one river to another even when they run in parallel. Mountain ranges over twenty thousand feet high separate one watercourse from the other. It’s possible in some cases to swing oneself across on a rope cable slung across the world’s deepest gorges like some locals but I didn’t have time to try this transportation system out. There was also a stop at a market where I found some unusually-shaped pears. They were truly not pear-shaped! We also stopped at a local village and were introduced to one of the families there. The large square draped hat of the elder lady of the family told me that the family belong to the Yi ethnic group. 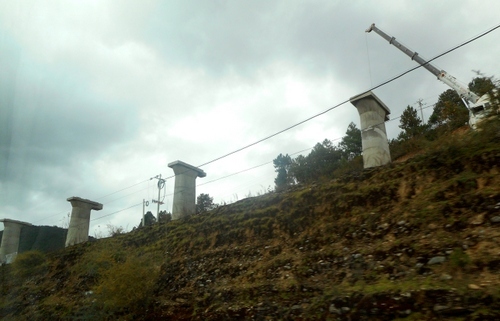 As a stark reminder of China’s rapid modernization were these pylons which would eventually take another railway into Tibet, this time routing from the east through Chengdu. No doubt the time will come when one will be able to get a cheap return ticket to Lijiang from St Pancras station London. 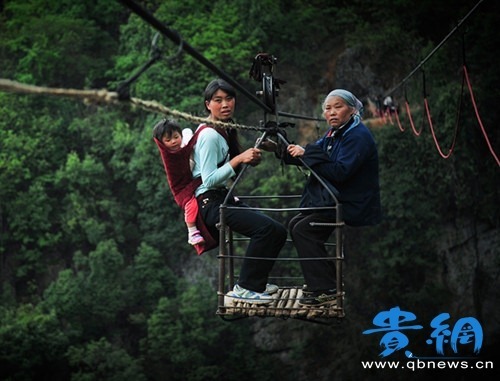 The journey to Zhongdian was remarkable for its scenic beauty but it was also very tantalising. I could have spent months just exploring the three parallel rivers area. But if one lifetime is not enough to visit Rome then I wonder how many reincarnations on the Buddhist wheel of samsara are needed to explore China. It’s only last year that the number of Chinese (total population 1.357 billion) living in urban areas has overtaken those living in the country. This is an extraordinary development achieved in record time and a far cry from the old Maoist philosophy of banishing intellectuals, capitalists and professionals to live and work in the paddy fields. If you want to see rural China visit it now before the country changes beyond recognition. I have a friend who was utterly shocked at the difference of ten years that separated his first and second visits to the world’s third largest country (after Russia and Canada). He admitted that he’d preferred his first vision of China but that clearly depends on one’s world view. We did manage to visit various villages and houses in rural areas. 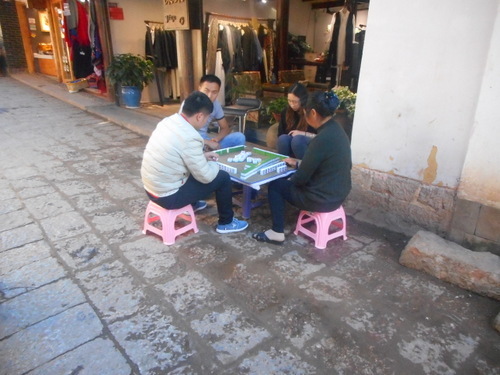 As I live in a village myself I was particularly interested in the kinds of activities non-urban Chinese people carried out after the economic reforms initiated in 1979 by Den Xiaoping (which, most significantly, involved the de-collectivization of farms). There were also some ancient crafts, particularly an exquisite embroidery school, taking place in another village. Sweet corn is grown, some of it for making into maize flour but much of it used to feed the pigs. Instead of the Briscola card game favoured by Italians there was mah-jong instead – naturally! We were now ready to leave the lovely Lijiang area and head north by bus and reach a province which has been renamed Shangri-La, although locals still refer to its main town as Zhongdian. It’s the headquarters of the Deqen Tibetann Autonomous Prefecture. Our journey would take us through some spectacular country inhabited largely by Tibetans, although we were still outside the T. A. R. (Tibetan autonomous region). The scenery grew hillier and hillier and the road more and more twisty. What sights would we meet?